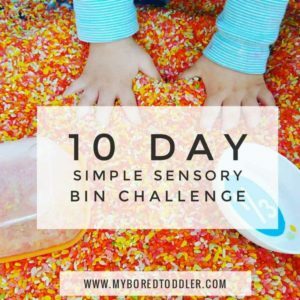 Today we are going to be making an easy water sensory bin for toddlers as part of our 10 Day Simple Sensory Bin Challenge. 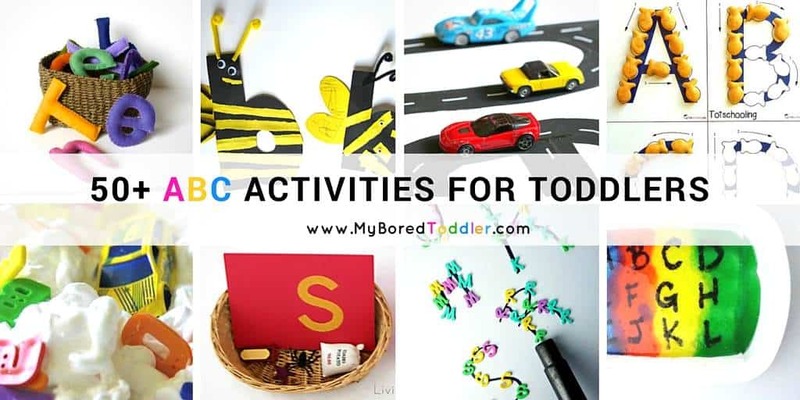 This is a great easy activity to ease into sensory play! 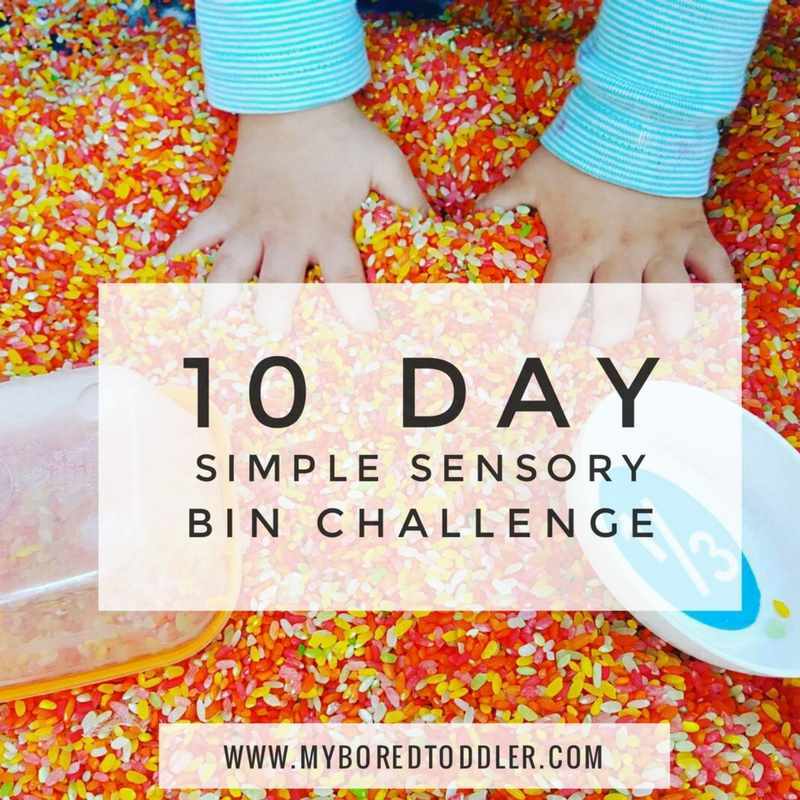 The first day of our 10 Day Simple Sensory Bin Challenge is here! Thanks to everyone that signed up. If you missed the list of what you need for the challenge you can find all of that HERE. If you haven’t signed up to the challenge yet, don’t worry you can still join in HERE. It’s a self paced challenge so you can get started whenever you like! 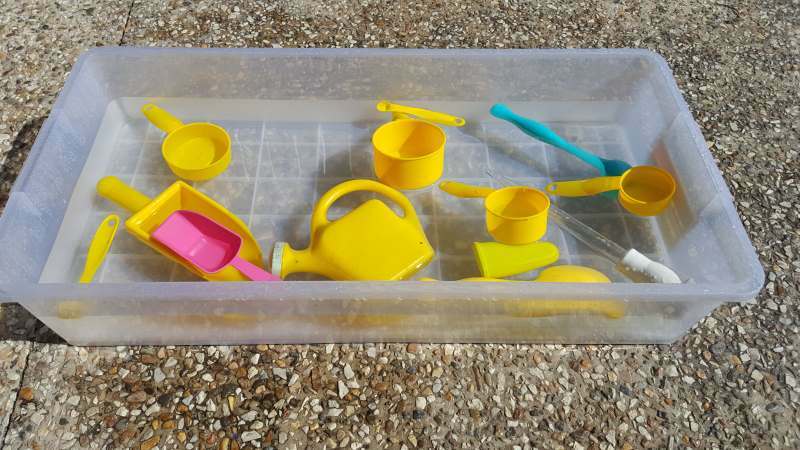 Today we will be making an easy water sensory bin for toddlers – easy! For the first day of our challenge we are starting with water! That’s right. Plain, boring water. 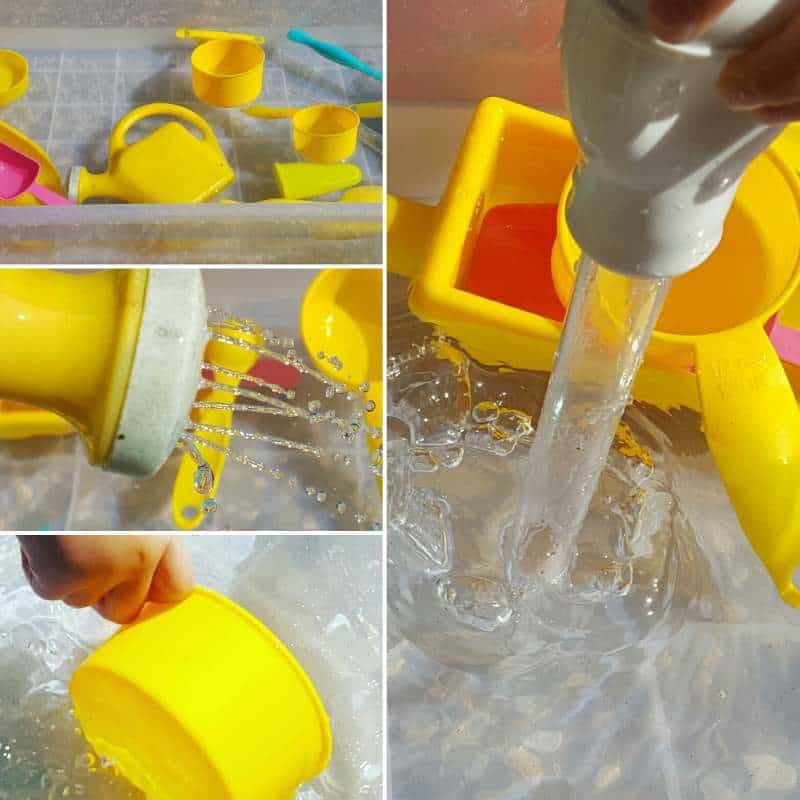 While all of the fancy sensory bins are great, water is always popular with all age groups. 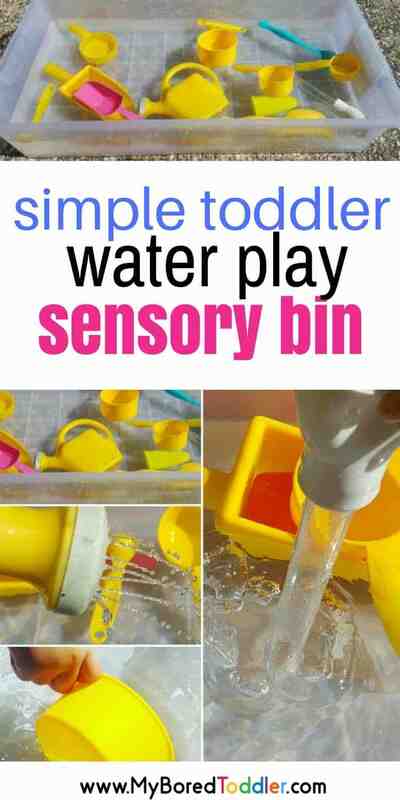 I run toddler classes where we have a different sensory bin each week and we go back to water every 3rd week as it is always one of their favorites. For today’s activity the effort on your part is minimal (just the way we like it). First, fill up your water table or container with water. Then go around your house and find anything that they can scoop and pour with! Raid your kitchen drawers! 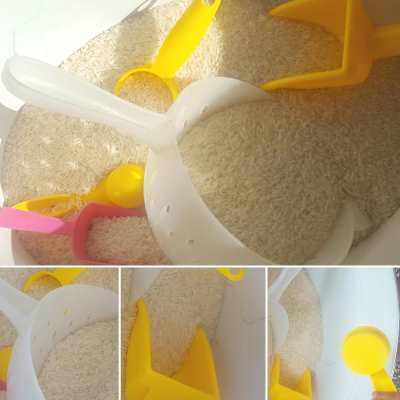 I will often put another bucket or container next to the sensory bin so that they can transfer the water from one container to the next. You’ll probably have to fill it up a few times too! The next time we use water in our challenge we’ll be a bit more creative! I know this challenge sounds really easy, but simple really is fun! See you tomorrow for Day 2 of our Simple Sensory Bin Challenge. If you can’t wait for tomorrow and want to take a peak at the next challenge you can find that HERE. 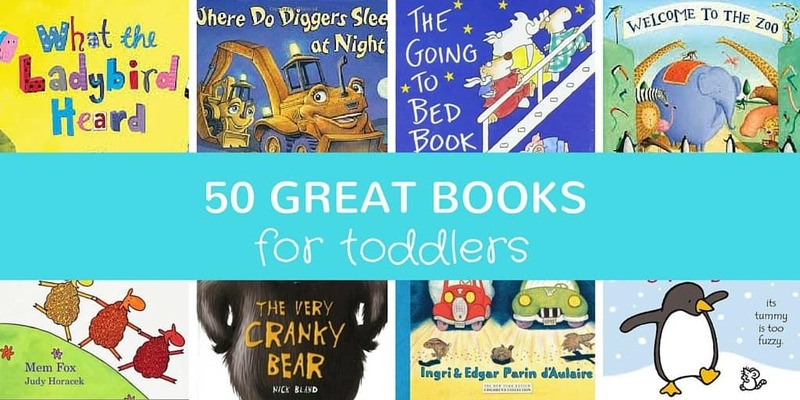 If you are looking for more great toddler activities then you’ll definitely love our collection of 50 Great Toddler Books. 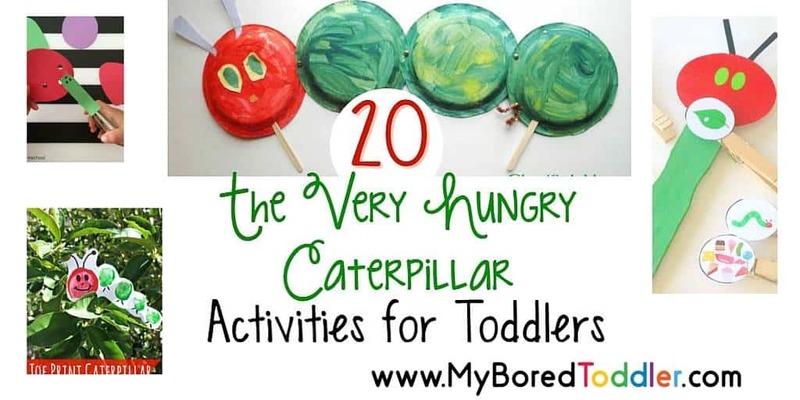 You may also enjoy our collection of The Very Hungry Caterpillar Activities. « What do I need for a sensory bin?